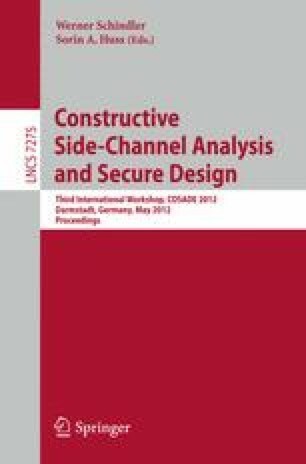 In this paper, we propose a setup that improves the performance of implementation attacks by exploiting the difference of side-channel leakages. The main idea of our setup is to use two cryptographic devices and to measure the difference of their physical leakages, e.g., their power consumption. This increases the signal-to-noise ratio of the measurement and reduces the number of needed power-consumption traces in order to succeed an attack. The setup can efficiently be applied (but is not limited) in scenarios where two synchronous devices are available for analysis. By applying template-based attacks, only a few power traces are required to successfully identify weak but data-dependent leakage differences. In order to quantify the efficiency of our proposed setup, we performed practical experiments by designing three evaluation boards that assemble different cryptographic implementations. The results of our investigations show that the needed number of traces can be reduced up to 90%.